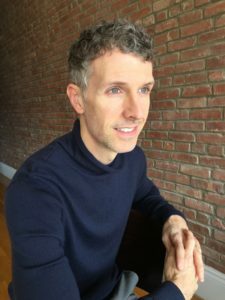 Erik Forrest Jackson Archives - Joelle Delbourgo Associates, Inc.
Erik Forrest Jackson is an award-winning playwright, musical book writer and novelist. He is the recipient of a 2017 residency grant at the Helene Wurlitzer Foundation, and a full fellowship at the Chulitna Artists Residency for 2018. His latest original play, the darkly comic drama Like a Billion Likes, premiered at Stage West Theatre. It is the winner of the Robert Chesley/Victor Bumbalo Playwriting Award; the winner of the Southwest Playwriting Contest; a finalist for the 2016 Eugene O’Neill Playwrights Conference (top 54 scripts out of more than 1,450); a top 10 finalist for the Woodward/Newman Drama Award; a semifinalist for the Inkslinger Playwriting Competition; and was named runner-up in the Todd McNerney Playwriting Contest, where it was read as part of the Piccolo Spoleto Festival’s “Stelle Di Domani” series. A member of the American Theatre Wing’s Advisory Board and the selection committee for the Clive Barnes Foundation awards, Erik is also part of the writers’ group at the Musical Theatre Factory, where he is currently developing a musical adaptation of Like A Billion Likes with composer Brad Alexander and lyricist Jill Abramovitz. His musical Breaking Up Is Hard to Do, co-written with Ben Winters and featuring the songs of Neil Sedaka (arranged by Tom Kitt), was developed at New York’s Capital Rep and the Actors’ Playhouse in Miami; it has since been licensed by Theatrical Rights Worldwide and performed in cities across the globe, from London to Seoul. He also adapted the beloved TV comedy Cheers for a live stage event, which premiered in Boston and was followed by a run in Chicago. Erik’s comic adaptation of Stephen King’s Carrie premiered Off Broadway at New York’s P.S. 122, as did Doll, a twisted take on Ibsen’s A Doll’s House; the comic thriller Tell-Tale (transfer to the Cherry Lane Theater, GLADD nominee for Best Play); and the comedy Charlie! He also penned the screen adaptation of Charlie! The movie premiered at the Berlin International Film Festival. He is the author of a humor series for middle-grade readers and adults firmly in touch with their inner kids. 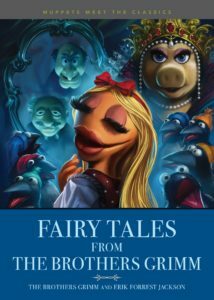 Published by Penguin Workshop, the first book, Muppets Meet the Classics: The Phantom of the Opera, is out now, and Muppets Meet the Classics: Fairy Tales from the Brothers Grimm will hit shelves in October 2018; both are from Penguin Workshop. Erik was a staff writer and story editor for season two of Here TV’s supernatural series Dante’s Cove. His screenplay Heartbreaker, a psychosexual thriller, was a finalist for the Outfest Screenwriting Lab. Erik’s poems appeared in the Showtime film The Escape, starring Patrick Dempsey. Erik spent more than a decade as an executive editor at Entertainment Weekly and InStyle, one of the world’s largest fashion media brands. (To read an interview about his time at InStyle, click here.) He is known as an expert producer of compelling, visually dynamic content that engages and activates readers who love pop culture, style, home decor and entertaining, plus all aspects of fashion, beauty and grooming. Previously, Erik was the editor-in-chief of Show People magazine, published by Time Inc., and an editor and critic at Us Weekly and Time Out New York. His articles as a freelance writer have appeared in Glamour, W, Real Simple, Town & Country and Out, among others. He has been an on-air reporter for the TV program Talking Movies on BBC/BBC America; acted as host of ABC’s entertainment program The Us Weekly Report; and was a correspondent for ABC’s News One radio show. As a correspondent, he has appeared on CNN, VH1, Entertainment Tonight, The View, Access Hollywood, and, in a moment of shining glory, on MTV’s How to Live Like a Celebrity Pet.